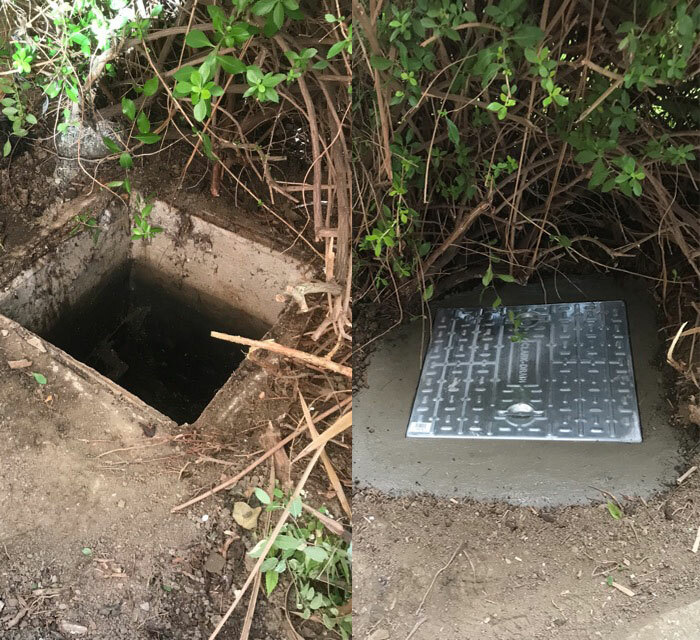 In most cases if you decide to have your manhole cover replaced, you will almost certainly need to replace not only the manhole cover but also the frame in which surrounds it. Sometimes it is not always possible to find an exact fit which means the strength of the whole unit will be compromised, possibly dangerous to. The best course of action is to have A1 Drains remove the old cover and frame completely. For us to supply and fit a complete new frame and cover that’s the correct size and loading capacity. What Loading Capacity Will You Need? If the manhole cover is in a garden or or lane way where pedestrians would be walking, it only needs to be an Class A cover, rated to 2.5 tonnes. In a driveway it is recommended that we install a class B, which is rated to 5 tonnes and will support a slow moving wheel load of about 1.25 tonnes. These type of covers have recessed areas that is suitable for laying brick and block paving and is great for decorative finishes in driveways. These are a Lighter galvanised steel manhole, That are often fitted flush at ground level and have built in grab handles attached. These manhole covers are ideal for situations where lighter use is required. These Covers are a Solid type and are very reliable, Ductile iron will not corrode or rust as quickly as cast iron will. We can replace all external manhole covers whether it is for pedestrian walkways or roads, which take heavy vehicle traffic. We also replace all internal manhole covers as seen in the picture where our engineer also carried out all the work.